There’s nothing I love more than stealing a few hours to myself and having a pamper! 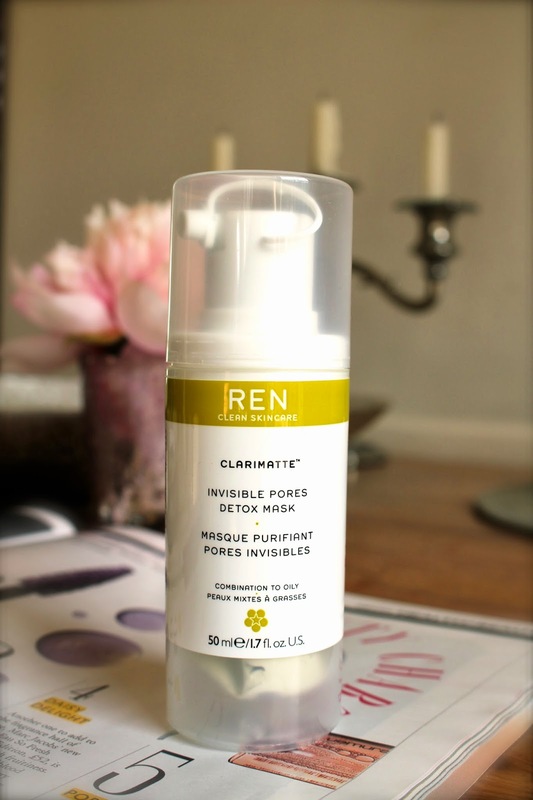 This morning I tried out my new Ren Clarimatte Invisible Pores Detox mask in the hope that it would calm my skin which has been awful lately! Ren claim that the mask draws out impurities and helps to reduce the size and appearance of pores and blackheads. The mask is clay based, and since falling in love with Origins Clear Improvements mask, I’ve been trying out other clay based masks to see how they compare. The Ren mask contains tropical seaweed which claims to detoxify the skin, as the minerals from the french clay should draw out excess sebum and eliminate dead skin cells. The mask is dispensed via a pump, meaning you can scrape every last bit from the bottle! It’s a light green colour, something which attracted me to it over re-purchasing the Origins mask, because I found that the dark coloured Origins one left my pores with some residue in them, and it actually sometimes made them look like lots of little blackheads!! Unlike other clay masks, I didn’t find the Ren mask too drying for my skin, and after relaxing for 15 mins, I hopped in the shower and rinsed the mask off. My skin definitely feels much smoother and calmer after using the mask, and not as tight and dry as it does after using other masks. I found that I needed to use a little more moisturiser than usual, but this is normal after doing a face mask! My skin is usually quite oily, and I found that after using the mask my make-up lasted all day with only a small dusting of powder. My verdict? I think I have found a new favourite face mask! I will definitely be repurchasing, and highly recommend. What’s your favourite face mask?